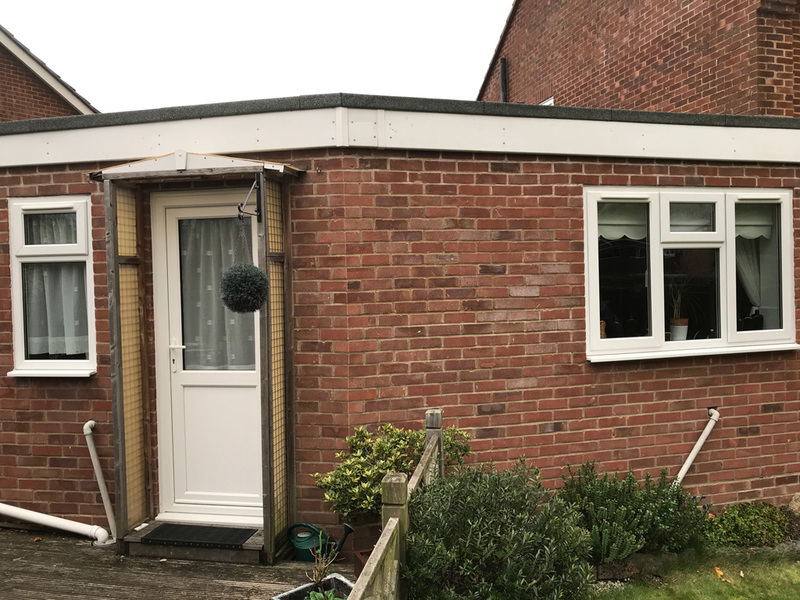 At Diamond Bright Cleaning, our Fascia & Soffit Cleaning services can transform the appearance of your properties exterior, and help to maintain it in good condition. Over a period of time algae, dirt, mildew and mould can build up on the exterior of your property. One of the most awkward to reach places for this to build up on is the fascia and soffit. This build-up not only looks unsightly, but if left too long it can cause permanent staining. 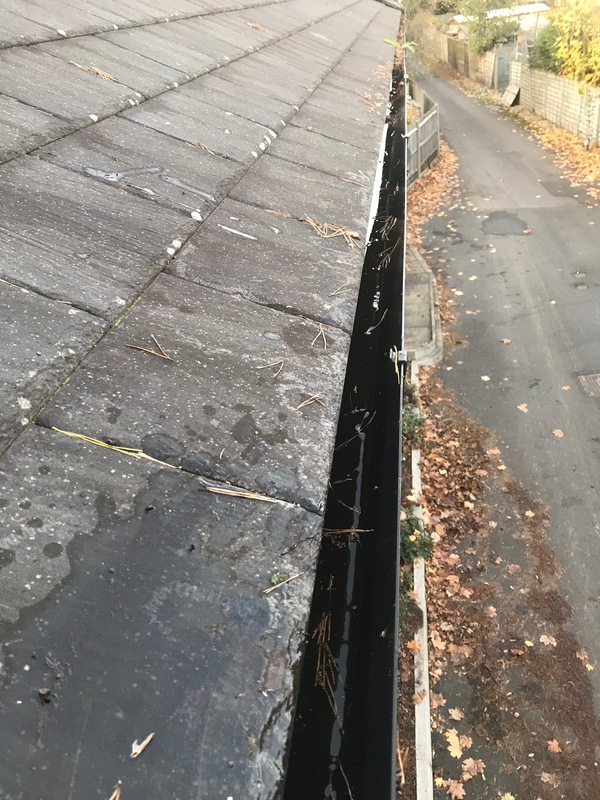 We advise this to be done in conjuction with our gutter cleaning services so that we clean the inside of the guttering first before cleaning the exterior. Once the gutters are clear and free flowing, we can start cleaning the exterior uPVC surface back to the sparkling white you remember. Depending on the level of dirt and algae we sometimes use a foaming cleaning agent to loosen the dirt, but often we can achieve brilliant results using purified water alone. Our high reach water fed poles combined with a bit of elbow grease allow us to clean gutters, fascia, soffit and even cladding around dormer windows and porches, and produce sparkling results every time. 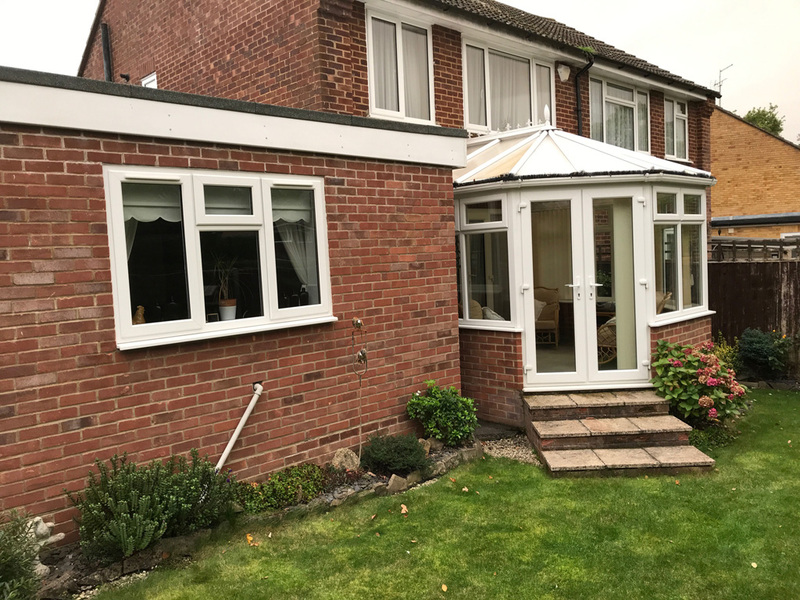 If your uPVC has become stained and looks unsightly; we can help restore it to its original condition. We use the same purified water system that we use in cleaning windows leaving the glass crystal clean. If not cleaned regularly, stains from algae & traffic film can become ingrained in your uPVC gutters. 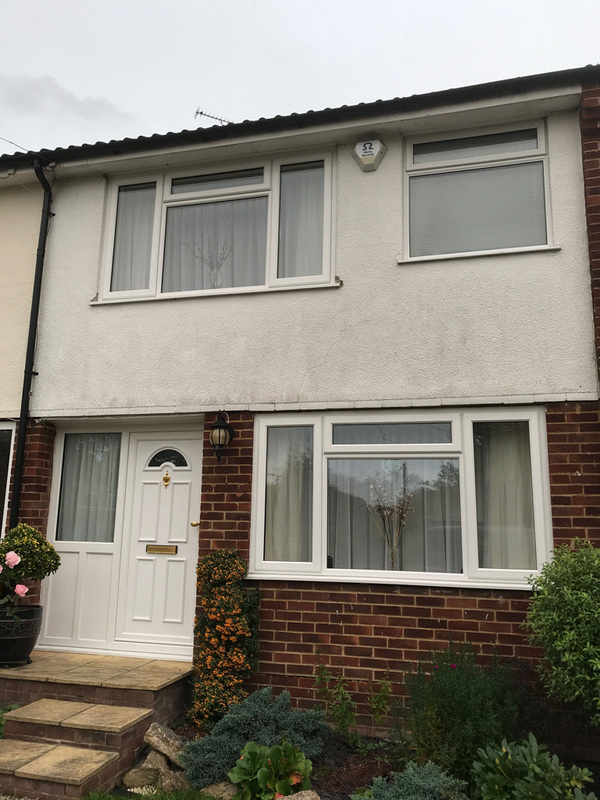 We make use of specialist detergents for uPVC cleaning to remove away these unsightly marks returning your fascia and soffit to its original glory. Improve the look of your property by cleaning the UPVC Fascia & Soffits Today!